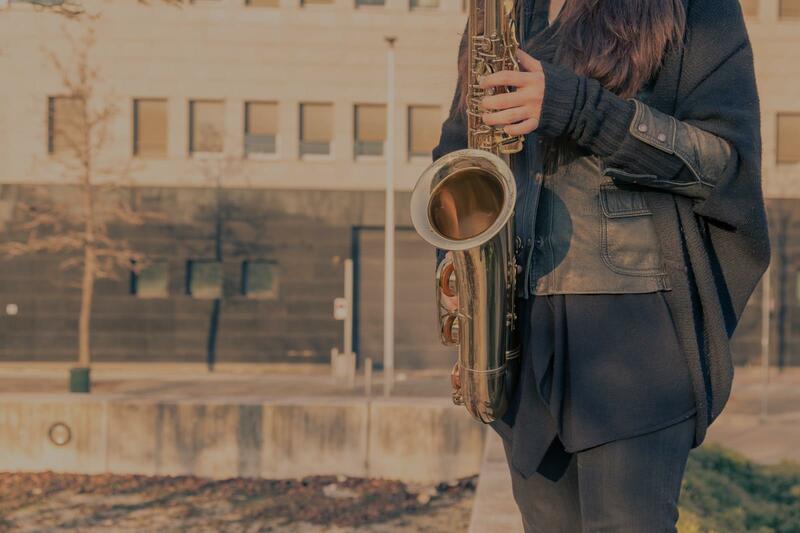 Wylie, TX Saxophone Lessons Near Me | Fun Classes. Top Teachers. Check out some of our most popular teachers near Wylie, TX including Dallas, Plano, Frisco, Irving and Arlington. I will teach you the fundamental basics as well as some tricks I learned from various artists I've played with. We will be using the Jamey Abersold books, Bob Mintzer books, and some of the tunes in the fake books. Also we will work on scales. I will also teach you how to write and compose your own music using my background music I send you. rriculum. A couple of years later in 1998, Frixos found his true calling … music composition, Jazz and the Saxophone. Frixos’ purple tenor sax goes everywhere he goes! I am very pleased with Frixos. Frixos encourages as he instructs, and is very much to the point with what needs to be done. Frixos gives students the chance to advance quickly. I would recommend Frixos for intermediate age children. Experienced saxophone and piano teacher of 5 years! All ages are welcome, I've taught students from 5 years old to 65 years old! The lessons are customized to your specific needs and what you want to learn! I guarantee you will be playing your favorite songs in no time at all, with a beautiful tone, learning how to read music and play by ear! Let's get started! Today, I play music throughout New York City with various styles of bands, from Church Ministry to Rock bands and Jazz groups. I have taught a diverse variety of people from all walks of life. I am now following my musical passions and, besides playing saxophone regularly, I also am a singing pianist that plays at various piano-bar/restaurants in New York. I began playing saxophone and piano in the 2nd grade. I was a member of the New York State ‐ All State Jazz Band in High school. I performed regularly at Ossining High School where I was a member of the elite Woodwind Ensemble and played 1st alto sax and flute in the Jazz Big Band and Jazz Workshop ensembles. I also performed periodically in Westchester County and New York City with groups from the Lagond Music School where I studied and had taught privately starting in 2003.
rly age, I was inspired by the playing of Phil Woods and Lenny Pickett to take up the saxophone and pursue the study and playing of Jazz. I studied saxophone, flute and clarinet privately with Jon Irabagon (winner of the 2008 Thelonious Monk International Jazz Saxophone Competition) and with Charlie Lagond at the Lagond Music School in Elmsford, New York. During High School I was a regular attendee at the SUNY Summer Jazz Institute in Purchase, New York where I had the privilege of attending Master Classes led by Ralph Lalama and played alto sax in workshop ensembles led by Ralph as well as Doug Munro, Jon Gordon and Charles Blenzig. In college, at New York University, I had the distinct pleasure of working with musical masters, Lenny Pickett, Chris Potter, Kenny Werner, Rich Perry, John Scofield, Wayne Krantz, to name a few. My time at NYU helped me hone my creativity and prowess as an artist. Can't find a teacher in Wylie, TX?